For all of your Riverland, Mallee and beyond towing needs. 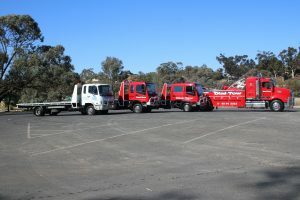 River Murray Towing offer skilled towing operators that will tow or transport your vehicle whether it be a car, van, 4WD, ute, truck or motorbike. We’ll be there fast and get your vehicle towed to your requested destination or we can offer to store your vehicle at our secure alarmed River Murray Towing depot. 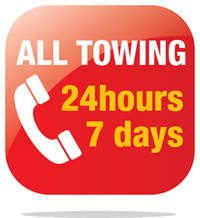 Competitive prices and fantastic customer service, our fast tow truck service will have your car moved out of harms way quickly and safely. The River Murray forms the border between New South Wales and Victoria. The Riverland region of South Australia starts where it crosses into South Australia a short distance to the East of Customs House at Murtho and for a distance of over 300 kilometres the Mighty River Murray creates many wide lakes, creeks, islands and wetlands of every size and type and supports all sorts of wildlife..
River Murray Towing has 24 hour roadside assistance, 24 hours a day, 7 days a week. Flat battery, emergency petrol, quick mechanical help, fix your breakdown, lost keys. We can help. If we can’t sort you out roadside, We can tow you to someone in the region that can. Towing a caravan can be a very dangerous situation particularly on roads that are new to drivers, couple this with driver experience and often driver tiredness and Caravan accidents are common. The roads in the country and surrounding Berri, Barmera, Loxton, Renmark, Waikerie and Lake Bonney are often difficult due to weather conditions and caravan crashes that do occur need prompt attention. Our specialist River Murray Towing team can deal with all aspect of a caravan road accident. In Caravan crashes there is often debris that must be attended to and River Murray Towing towing know exactly what the responsibilities are for drivers involved in Caravan crashes. Similarly towing a damaged caravan needs specialist knowledge and if the towing vehicle has been damaged there is often the towing vehicle and the caravan be towed. Does the damage to the caravan allow the caravan to be towed or does the caravan need to be loaded onto a tilt truck. Most tow truck companies do not have the range of vehicles to be able to cater for all caravan towing situations. River Murray Towing has either the right sized towing truck or tilt truck to take your Caravan to the caravan repairer of your choice.